Good quality cat litter furniture can help solve many of your pet litter problems. Do you worry about nasty smells from the used litter or how ugly the tray and its contents are? Or does your cat kick litter all over your nice clean floor? Pet litter boxes are designed to help solve these problems. If you are looking for a design that will also look stylish in your home, then you have come to the right place. I was searching for a nice new box for my own kitty and was amazed at all the different and modern designs of cat litter furniture available these days. So I thought I would share with you some of the best designs that I found. What To Consider When Buying A Cat Litter Box? Is it strong and sturdy enough to last you a long time? 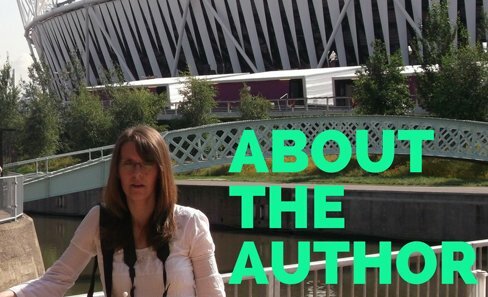 Is it attractive enough to fit in with your home decor? Is the opening in the box large enough for your cat to climb in and out easily? Is the box deep enough to stop litter from spilling out? Is there easy access inside for removal of the tray and for cleaning? When I got my first enclosed cat litterr box furniture for my cat Little Mo, it did help contain the smell better and stopped her kicking the litter out onto to the floor. But it was still a cheap and ugly plastic thing and I really wish I had found great styles like these before. How about this beautifully made Amish corner cabinet? It comes in Oak or Maple with a wide choice of natural colour finishes to match your home decor. 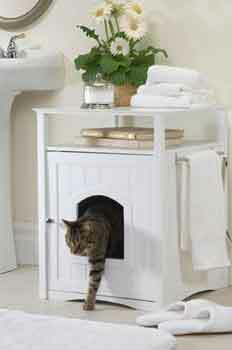 It includes a removable litter pan and a hinged front door for easy cleaning. The corner shape also means it a great space saver and you can put an attractive lamp or plant pot on top to help it blend in to your home furnishings. 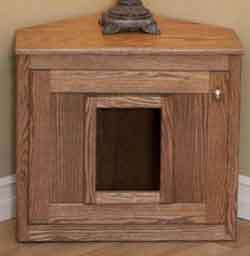 If you can imagine your elegant kitty stepping gracefully out of this beautiful cabinet, then you can find handcrafted Amish cat litter furniture here. They also have a larger side-cabinet version with a sliding drawer as well. If your home suits more of a sleek, designer style of furniture than take a look at this contemporary litter hider for the more modern kitty. It comes in high quality materials including dark wood laminate and chrome fittings, giving it a really cool and stylish appearance. It is also highly practical being easy to wipe down for hygienic cleaning and has thoughtful details such as a handy hook inside to hide away your pooper scooper! I think this would look great in any modern interior. How about yours? Many people keep their cat litter box furniture in their living room or even their kitchen. But doesn't it make more sense for it to be in the washroom? If you think that's a great idea, then take a look here at what I think is one of the most beautiful designs of pet litter furniture that I have seen! 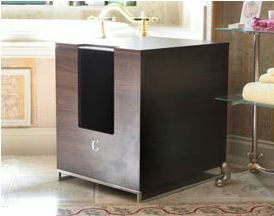 Not only is this an elegant solution to your problem, but it is a practical and multi-purpose piece of furniture as well! You can use it as a plant pot stand or side table and it incorporates a useful shelf and a handy towel rail. This classic design comes in clean white or 'espresso' colour choices and I think is a really beautiful piece of craftsmanship. So that's my top choices for the best cat litter furniture ideas. I hope you have found what you are looking for and manage to get a litter box that not only solves your pet litter problems, but is also a really attractive piece of furniture as well.